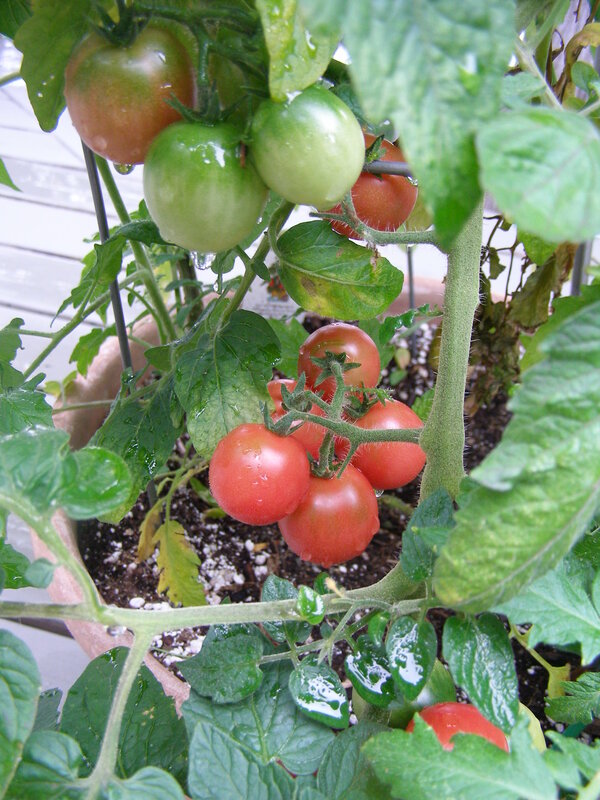 My tomatoes were grown in containers in my driveway. do something with those gorgeous garden veggies! Even if you don’t have your own veggie garden, there are many roadside stands, greenhouses, and farmers’ markets out there where you can pick up an amazing harvest of gorgeous, delicious, and sometimes organic, veggies. I’ve compiled a nice collection of unusual recipes that capture the spirit of the harvest that you and your family will want to enjoy for years to come. This is so easy to throw together and a great way to use up zucchini or summer squash. Since eggs and cheese provide protein, this dish can be served alone with crusty bread for a quick late summer meal. Preheat oven to 375° and spray a large casserole dish with nonstick spray. Slice the squash into 1/4″ slices. If they are larger squash, cut them down the middle before slicing into half-moons. Heat the oil to medium high in a large non-stick frying pan. Add the squash, garlic and thyme. Sauté and stir constantly until the squash starts to brown and soften slightly. Don’t cook too long or it will be mushy after it bakes in the oven, and the garlic will burn. Remove from heat. Beat together the eggs, sour cream, cheeses and lemon juice in a medium-sized bowl. Place half of the squash into the bottom of the casserole. Sprinkle on some salt and pepper (remember the cheeses are salty!) then spread 1/2 of the egg mixture over the top. Repeat with remaining squash and then the egg mixture. Bake for 40-45 minutes, until the mixture is bubbling and slightly set. Serve hot. This is an old Weight Watchers recipe I’ve adapted. It serves four, but you can double it. Whisk together oil, Worcestershire sauce, juice, and hot pepper sauce. 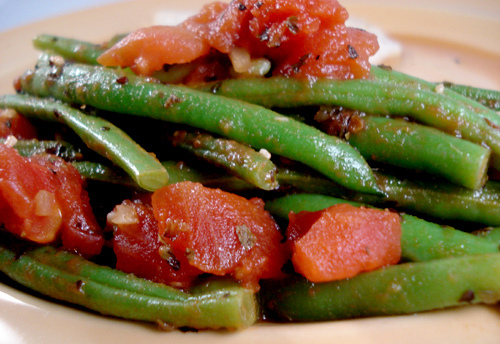 Stir in vegetables, basil, salt, and pepper; Serve hot, or chill for 1 hour or overnight. Divide into 4 portions and serve with blue cheese dressing. This is a tangy variation on your potato, onion, and mayo version. The ingredients, like lemon, scallions, and fresh mint, make it a popular local dish, and it will be a big hit at potluck dinners, too. It is also very nutritious. You can make this with new potatoes, too. Just reduce boiling time. Make Ahead Tip: Prepare all the ingredients ahead of time and refrigerate, then assemble just before serving. For a creamier salad, whisk ½ cup of plain yogurt into the lemon juice and oil mixture. Enjoy! Scrub potatoes; remove stems and eyes. Place in a large saucepan. Cover with lightly salted water. Bring to a boil and cook until tender, 25 to 30 minutes, or till a fork is inserted easily. Drain and rinse with cold water. Transfer to a cutting board. Let cool for 20 minutes. Cut the cooled potatoes into 1/2-inch pieces leaving the skins on. Whisk lemon juice, oil, salt, and pepper in a large bowl. Add the cut-up potatoes and toss to coat. Just before serving, add scallions, parsley, and mint and toss gently. This is a cinch to put together. Let the kids help. Be daring! Add sliced mushrooms, onions, or any fresh summer veggie. Cut zucchini into large coins and then quarter. Place the zucchini and garlic in a large zipper bag, drizzle in enough olive oil to coat, sprinkle in some salt and pepper, a bit of crushed rosemary and massage the bag gently to coat. Turn the zucchini out onto a cookie sheet. Bake for 20-25 minutes until soft and starting to turn golden in a few places. Spoon into a serving bowl. Garnish with parmesan cheese and pass lemon wedges. This exotic twist on broccoli will have your family asking for it again and again. Healthy, delicious, AND no cooking required! This can also be made using raw cauliflower or blanched brussels sprouts. Remove small crowns from broccoli stems, remove skin from stems and slice stems and crowns thinly. Place in bowl. Mix liquids very well and pour over. Toss. Add spices and toss again. Marinate up to 1 hour in the refrigerator. Add chopped tomatoes and mix before serving. This entry was posted in Cheese, Comfort food, Herbs, Lebanese, Sauces & Dressings, Scallions, Vegetables and tagged lemon, parmesan cheese by cmtstardesign. Bookmark the permalink. You are welcome, Darylen. Trying hard to get part 2 up!